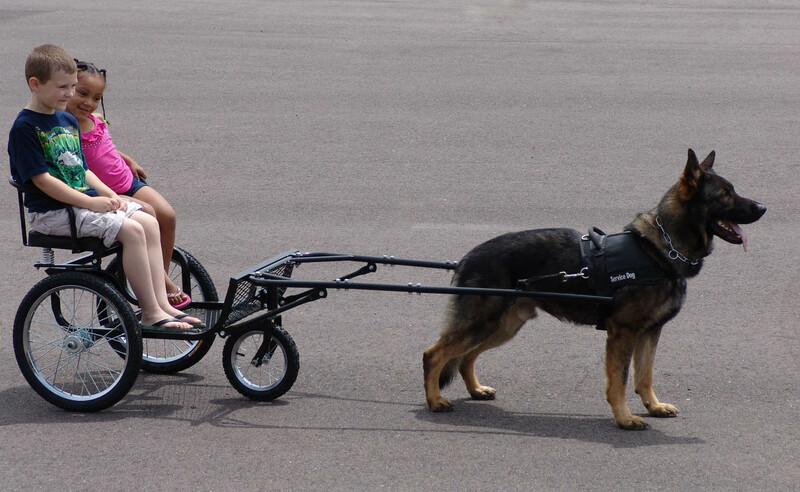 This cart is so much fun and a great way to give my dogs exercise. 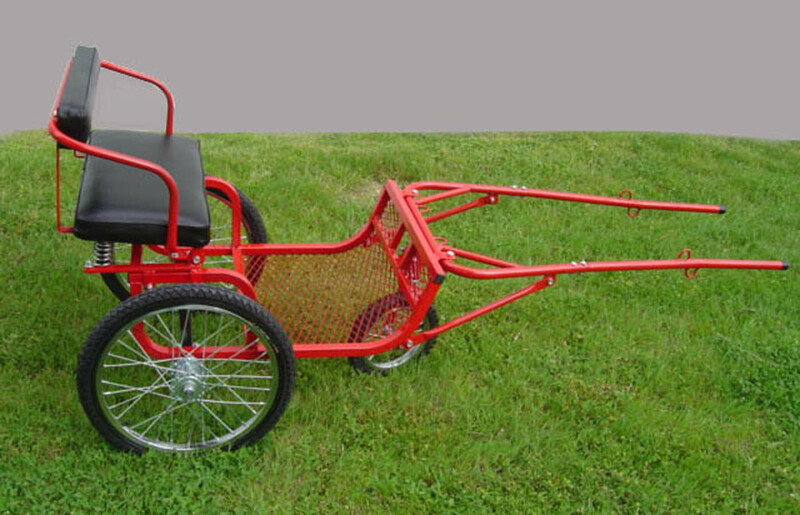 There are so many impressive features included in this little dog cart. I think one of the most important features of this cart is the small third wheel at the front of the cart. 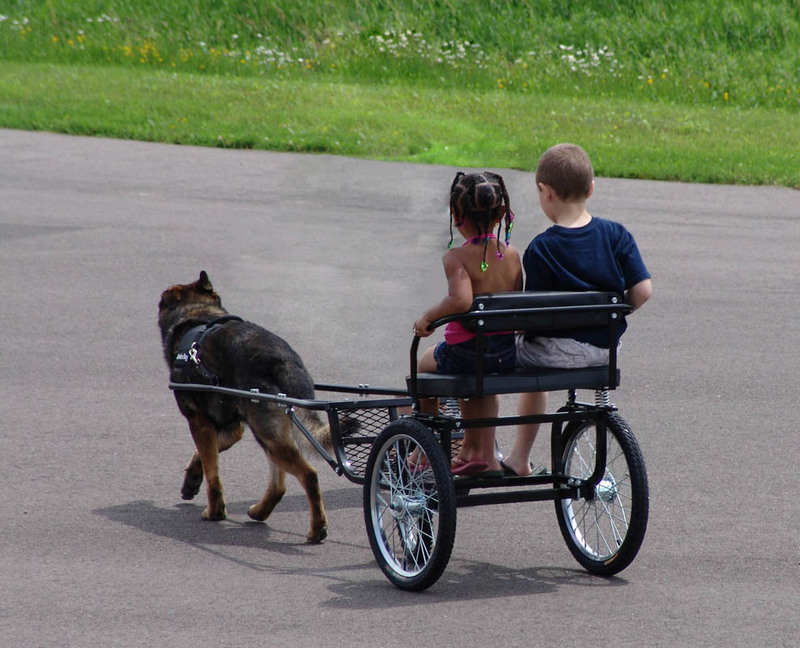 This wheel holds up the shafts that attach to the dogs harness and that helps to keep the pressure of the cart from pushing down on the dogs back. This small wheel pivots so turning is easier for the dog. The next thing I really appreciate about this cart is how easy it is to get into. No lifting your legs up over the seat height bars and feeling trapped in the cart. 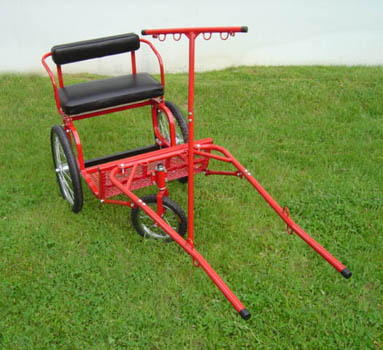 There is a mesh foot rest the width of the cart, this is not only comfortable for the rider but a nice safety feature for young riders. The seat is padded with back and arm rests. 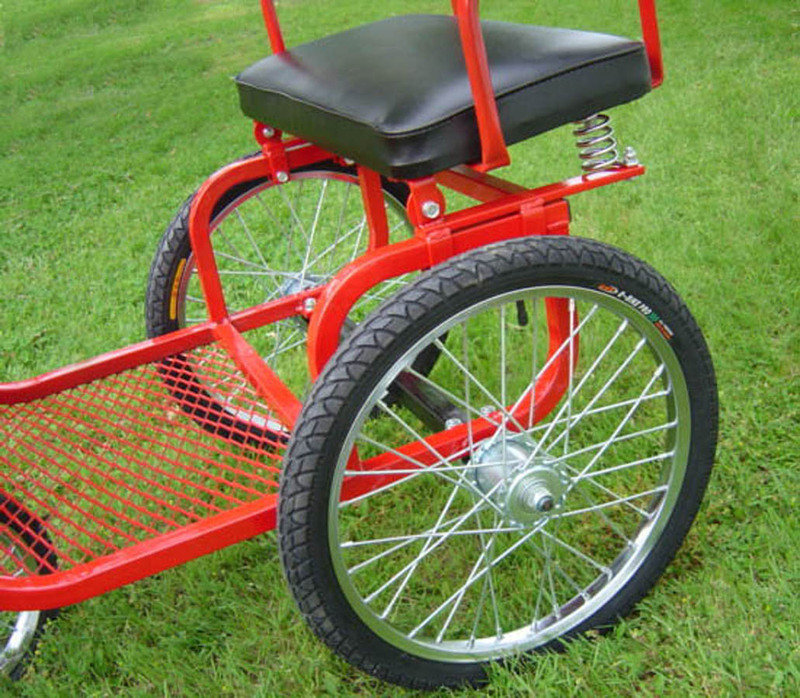 The seat has two coil springs so the bumps of the road are less stressful on ones bottom. 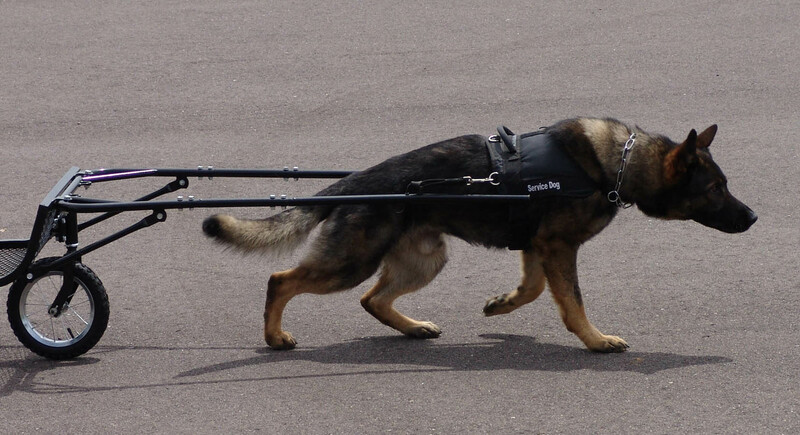 Two dogs can be used to pull this cart with the additional pole that converts this cart to a two dog team. We have several accessories to enhance this cart that make using the cart and training your dog to pull the cart easier. Wheels: 20" holds up to 400 lbs. 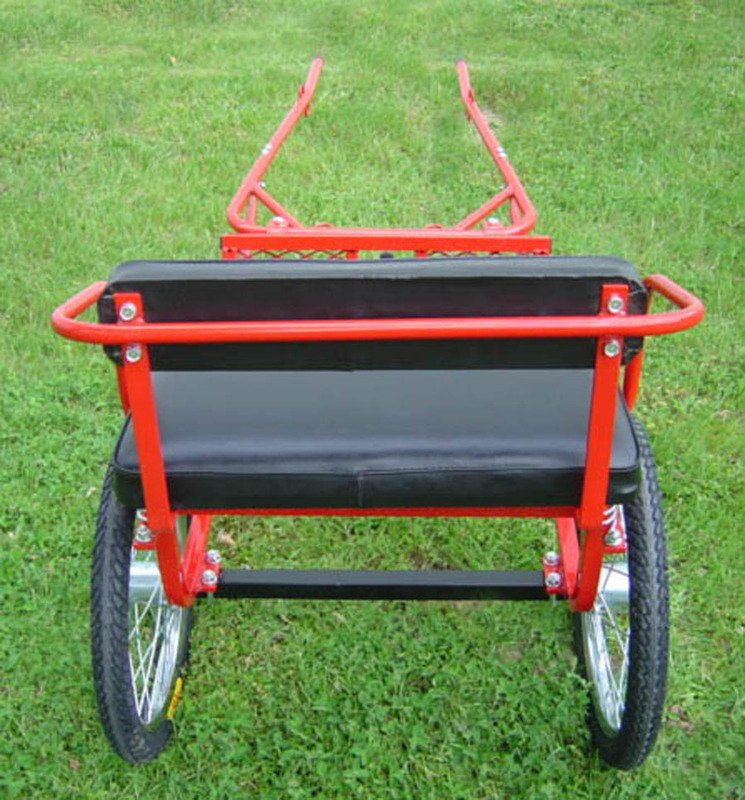 Spoke wheels: 20"X2.125", 3" wide hub, 5/8" Axle, Heavy duty wheels. 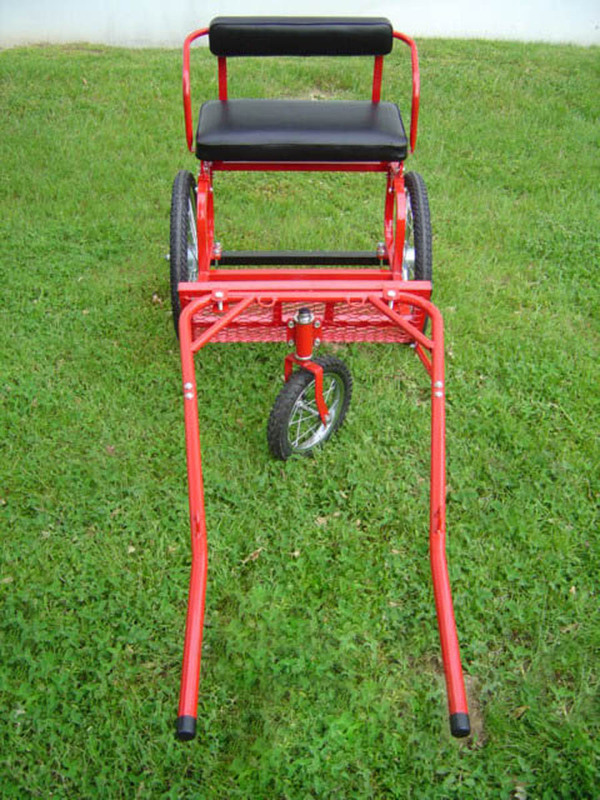 Overall Width (Tire to Tire): 31"
Overall Height (From ground to top of seat): 35"
Overall Length(From seat back pad to tips of shafts): 80"
about us | contact us | shipping and Return policy ServiceDogSupply.com © 2014, All Rights Reserved.